EMAG ELC 250 helps with mass reduction with the laser welding of differential parts. EMAG had seen that the world automobile market was pushing suppliers to decrease mass and reduce the overall size of driveline systems, specifically differentials. More of todays automobiles are offering an all-wheel drive or on demand four wheel drive system that require an added differential. EMAG has responded to their customer’s needs by building a state of the art Laser weld development cell in our Farmington Hills facility. The EMAG ELC 250 laser weld cell is fully capable of laser cleaning, laser welding, cutting, and testing all types of driveline parts. The system is also setup with our ultrasonic weld inspection system so that in production parts do not have to be destroyed by sectioning them to check for weld defects. The ultrasonic testing station is setup to test 100% of the parts in production. The Laser weld cell is equipped with two independent laser weld sources from leading laser manufacturers, so that we can quickly change which manufacturer’s laser is being specified by the end user. EMAG can also easily change the diameter of fiber optic pipe which allows us to tailor the weld parameters to the part. The system has a secondary cleaning laser system to rapidly remove any organic material on the parts. EMAG can laser weld using a built in wire feed systems to feed wire into the weld to take into account the differing material weld properties. 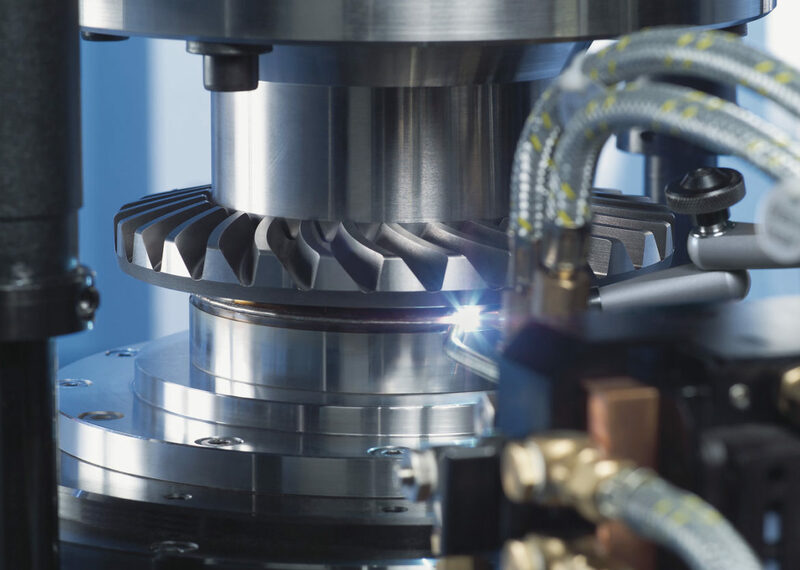 Differential carriers benefit the most from laser welding. The high carbon spiral bevel ring gear is welded to the cast iron carrier, thus reducing the need for bolting the connection and as an added benefit customers no longer have to drill and tap holes in both pieces. To accommodate the differing materials, a wire is fed into the weld, typically with a high Nickel content. Contact EMAG to see how laser welding can improve your production. Author: James Petiprin, Key Account Manager, EMAG L.L.C. 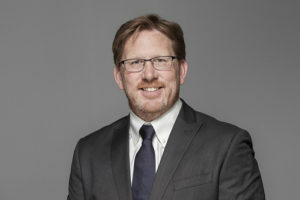 James Petiprin, Key Account Manager, EMAG L.L.C.